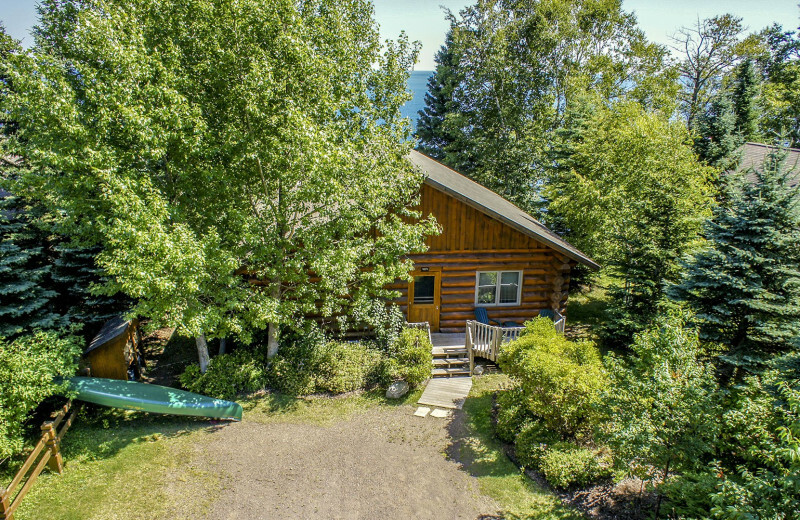 A perfect blend of Northwoods seclusion and outdoor excitement, Lutsen Resort on Lake Superior is perfect for family vacations, romantic getaways, and relaxing retreats! 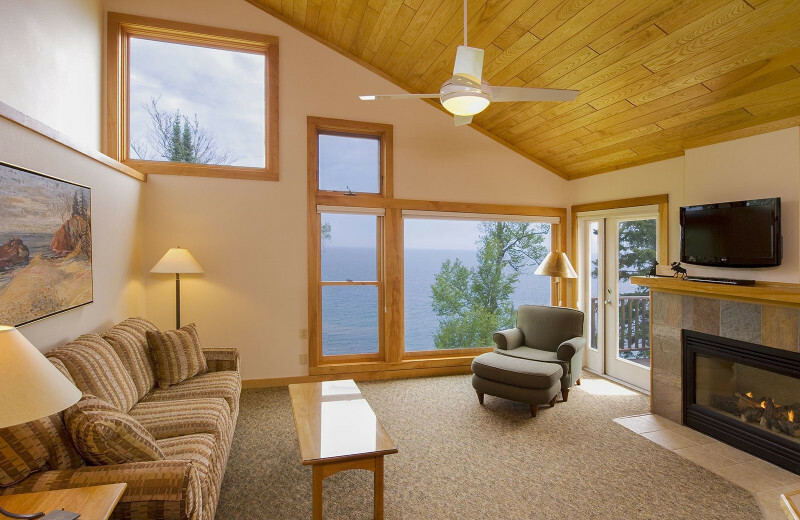 Set on Lake Superior's North Shore, this lakeside landmark offers a bevy of aquatic adventures, including fishing, swimming, boating, and water sports. 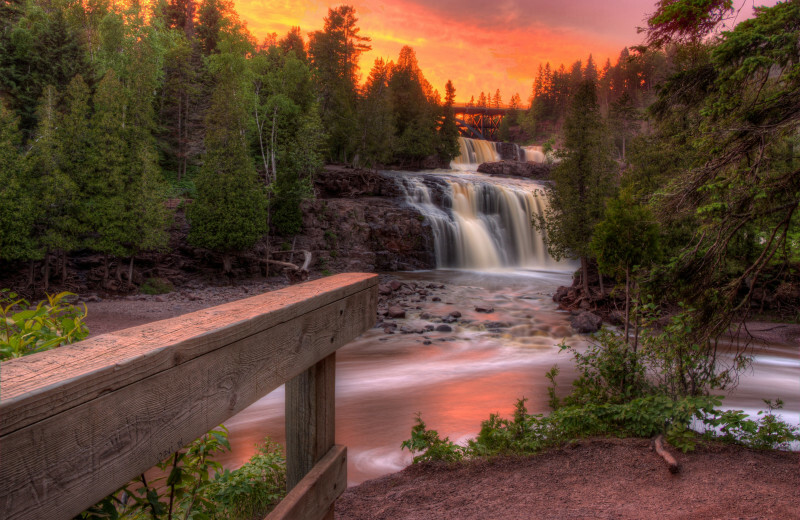 If you prefer solid land, hike the tree-lined nature trails, swing away at Superior National Golf Course, or horseback ride through the scenic Minnesota backwoods. 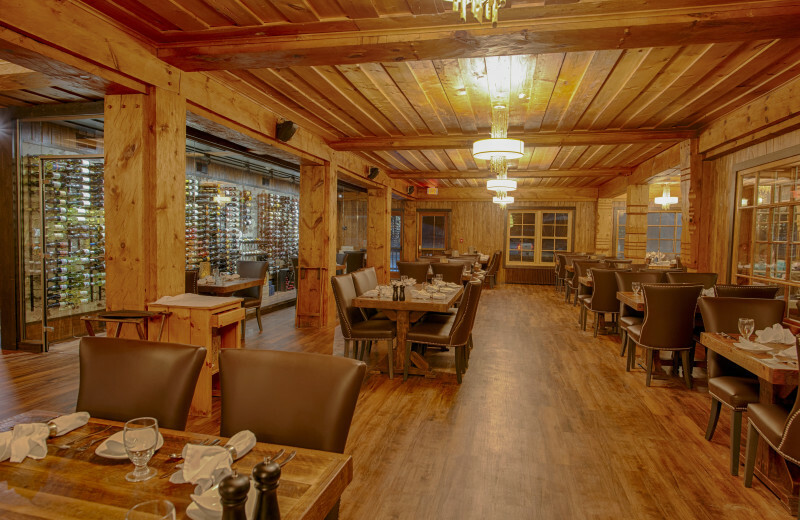 When the winter wonderland arrives, explore the flatland on a cross country skiing excursion, set off on a guided snowshoeing expedition, or sip cocoa by your stone fireplace. 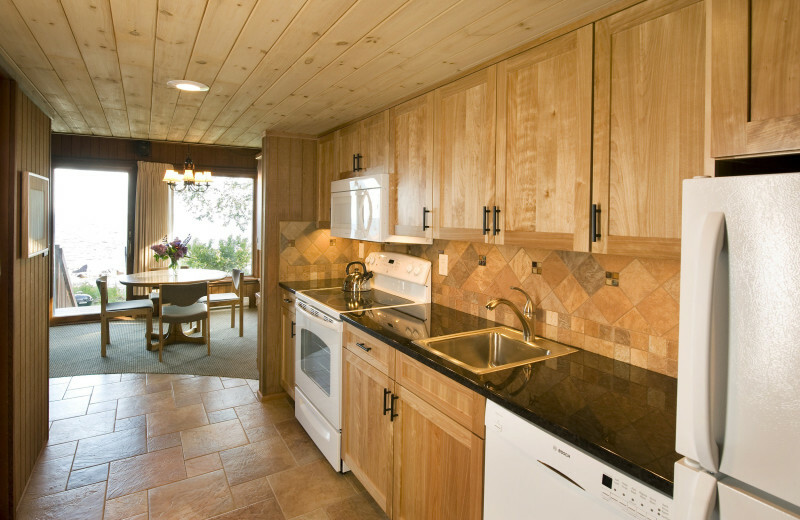 No matter the season, you'll appreciate the host of amenities. 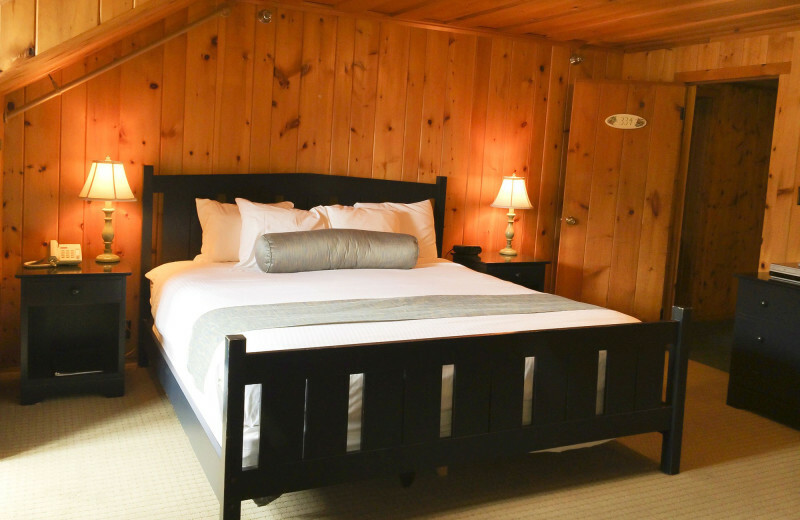 Stay in a historic lodge, a log cabin, a condo, a villa, or a townhouse and enjoy such extras as lakeside decks, Jacuzzis, and massage treatments! 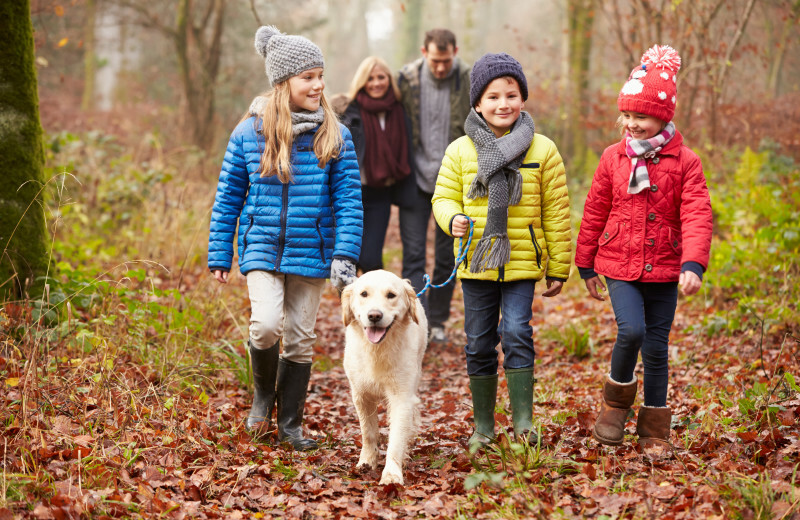 Family-owned since its inception, Lutsen welcomes families of all sizes with a variety of well-developed kid's and adventure programs plus a nine-hole golf course, shuffleboard, swimming pools and more. 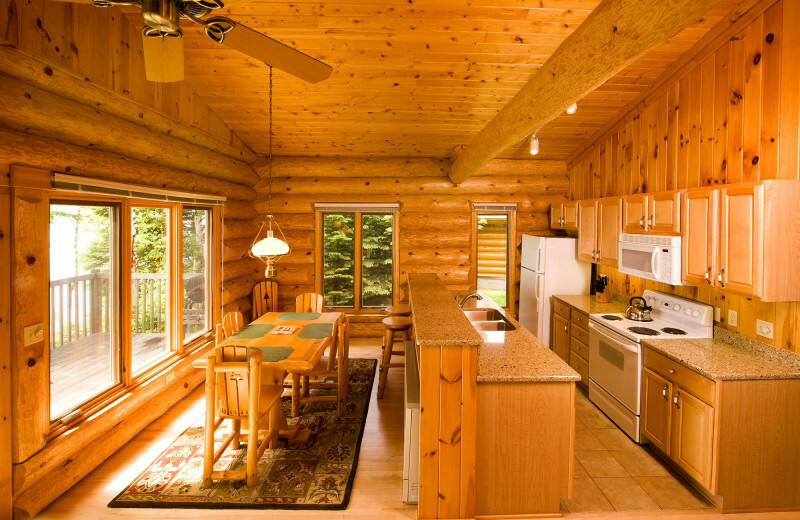 The broad range of accommodations and dining ensures a Minnesota family getaway filled with exploration, fun, and comfort. 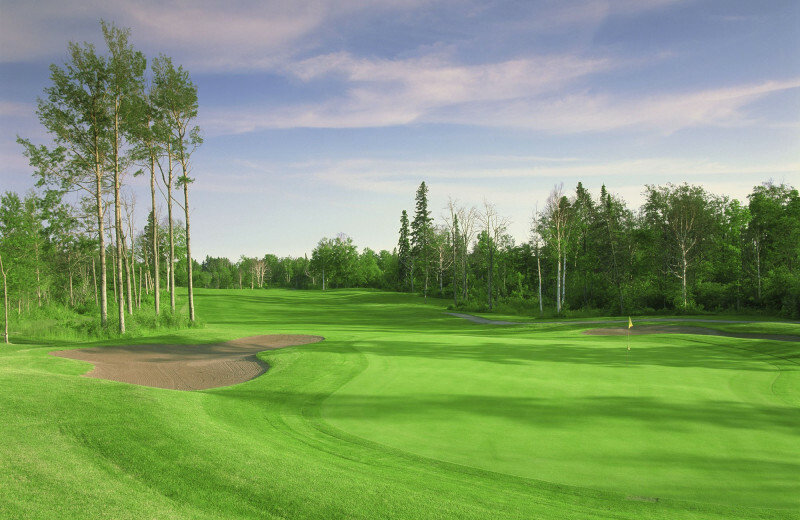 There's no pressure at Lutsen Resort when it comes to your golf game. You'll find a complimentary nine-hole, par three golf course right on site, great for golf vacations for all ages and skill levels. There's also a nine-hole disc golf course. Or, for more of a challenge, the 27-hole Superior National course is next door! 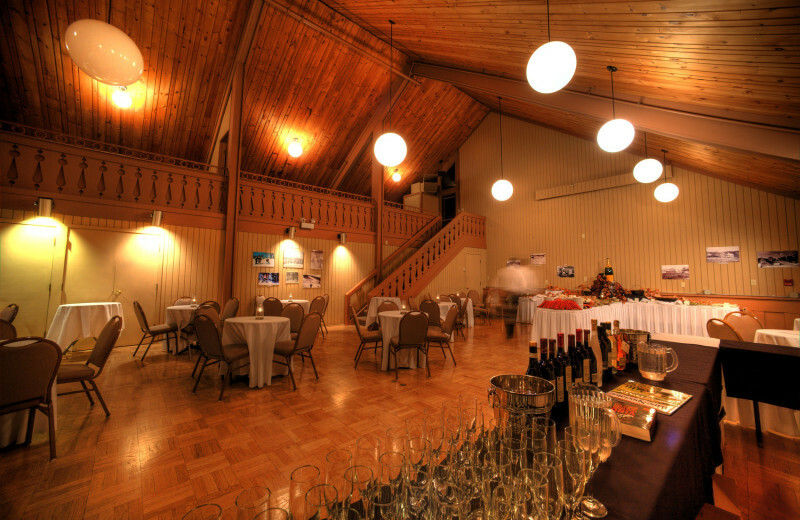 Elegant charm awaits your business group at the beautiful Lutsen Resort on Lake Superior. With a variety of conference and meeting spaces and an attentive staff ready to assist, your event is sure to go off without a hitch. 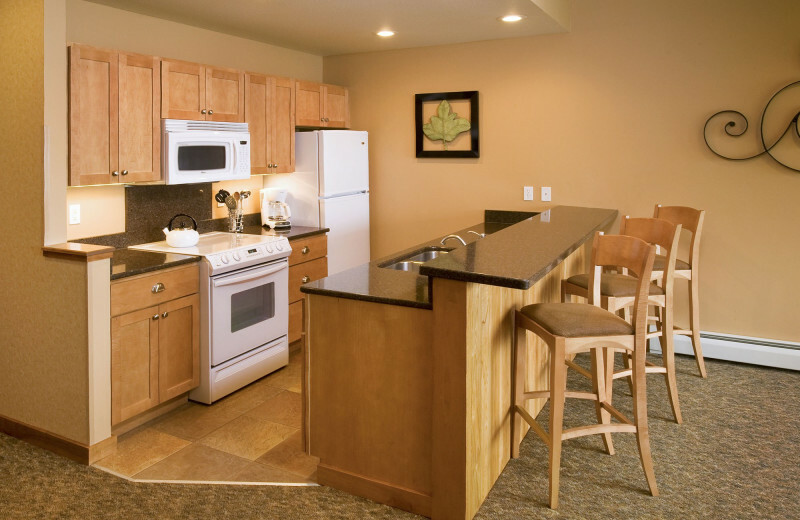 Let their staff help plan everything from meals to lodging arrangements, plus fun activities in-between your hard work. They can plan golf tee times, ski tickets and much more! 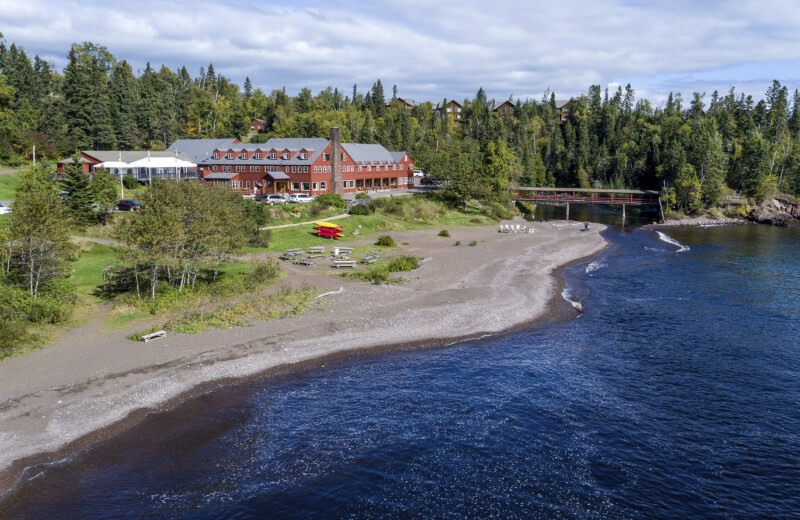 Lutsen Resort's wonderful setting on the shores of Lake Superior is sure to inspire success in your entire team. Inquire today! 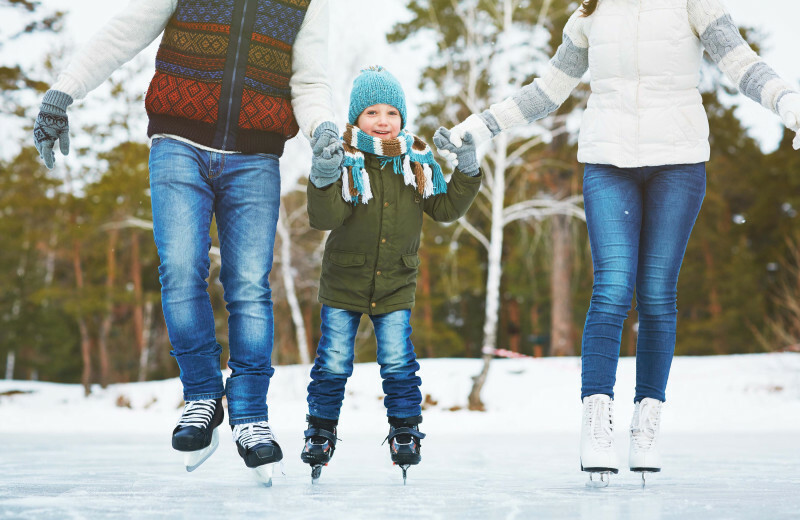 Lutsen Resort's spacious grounds, variety of Lake Superior lodging options, and the many resort activities and programs available for guests of all ages make it a favorite spot for bringing families back together. Their experienced planning staff are available to help you plan all aspects of your special family reunion! 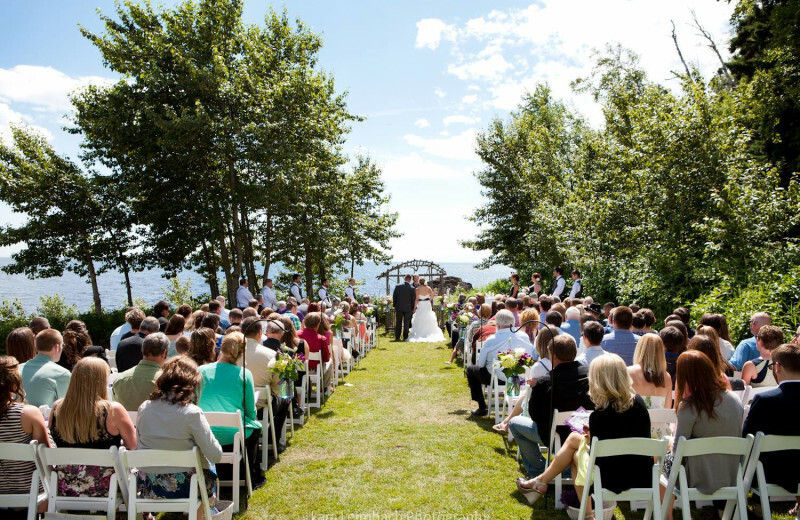 Say "I do" on the shores of Lake Superior at the beautiful Lutsen Resort. 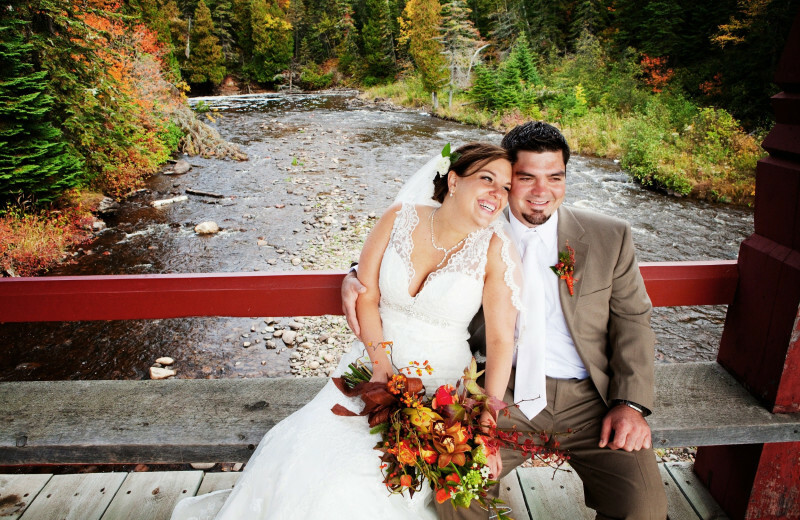 The natural beauty of Minnesota's North Shore, along with the quiet atmosphere, offers you the perfect setting for your special occasion. 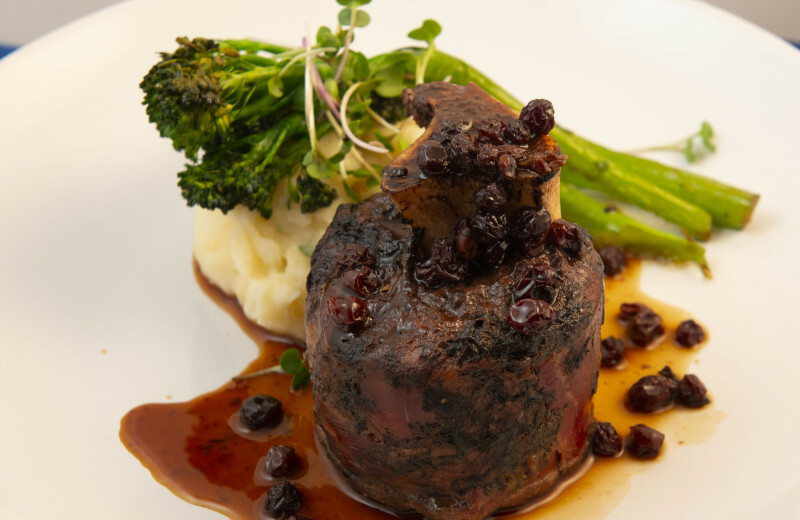 Their event staff is happy to assist in everything from working with the chef to plan your custom menu to guest accommodations to entertainment. 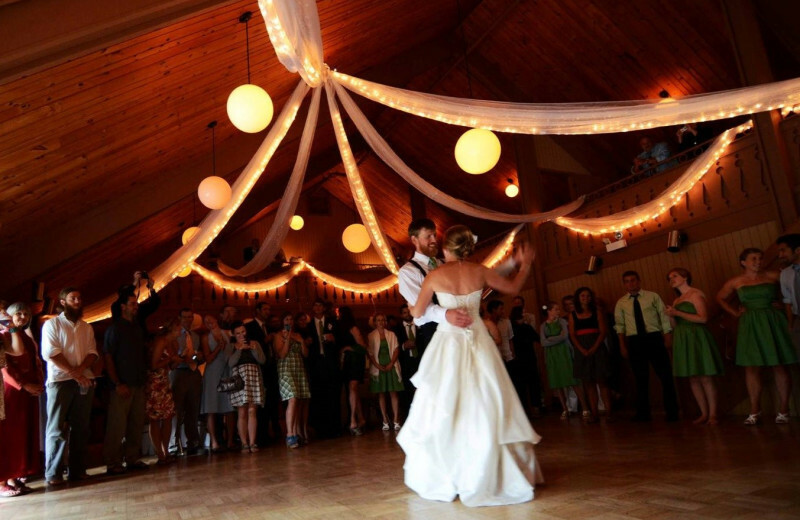 Your dream wedding is sure to come to life at Lutsen Resort! 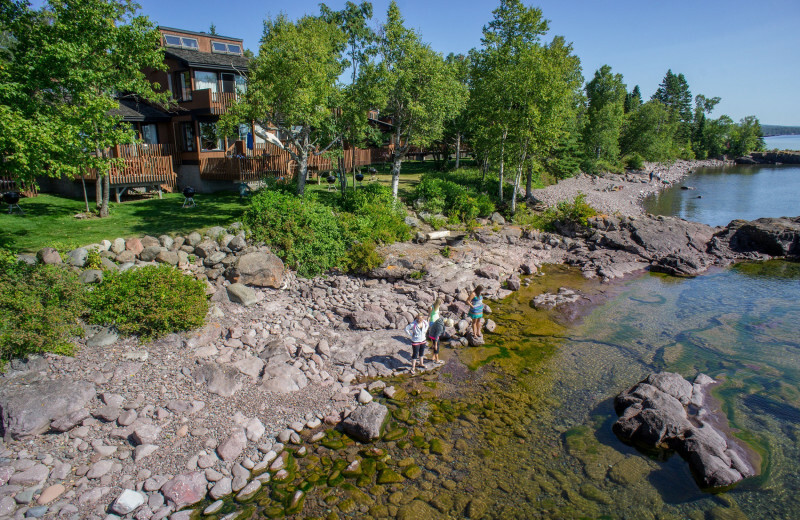 With Lake Superior on one side and a million acres of public land on the other, Lutsen Resort occupies a special place to explore on your Minnesota North Shore vacation. It also provides everything you need to do it, with naturalist programs, guided hikes, kayak instruction, and more. Cascade State Park is a short trip away! While in Minnesota, it'd be a shame not to take advantage of the numerous lakes in the area, including Lake Superior! 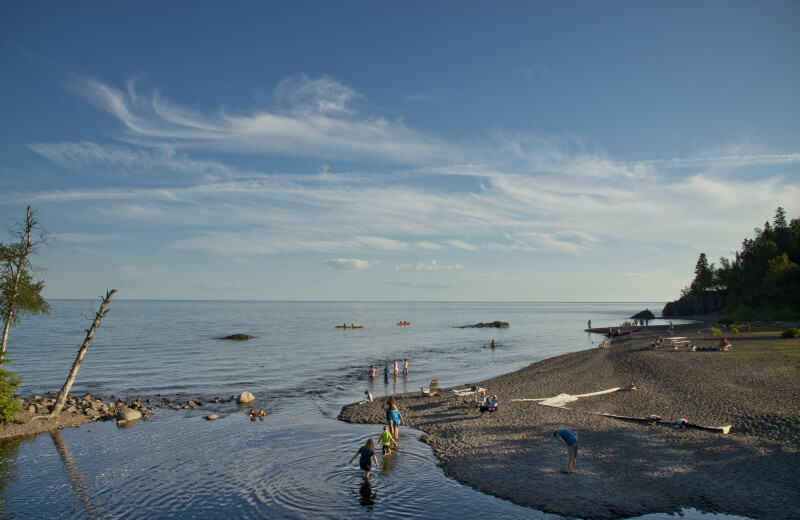 While at Lutsen, head out on a boat or fish from the shore. No matter what your level of experience, the area has something to offer! 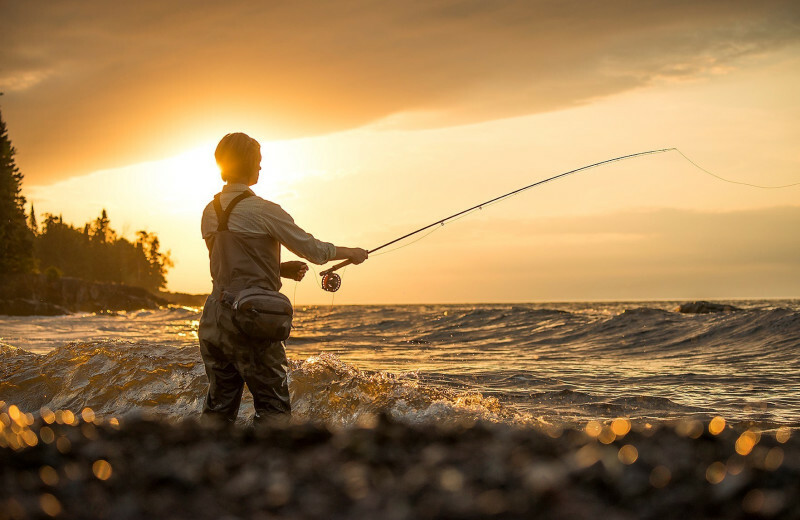 Cast your line on a memorable fishing adventure! 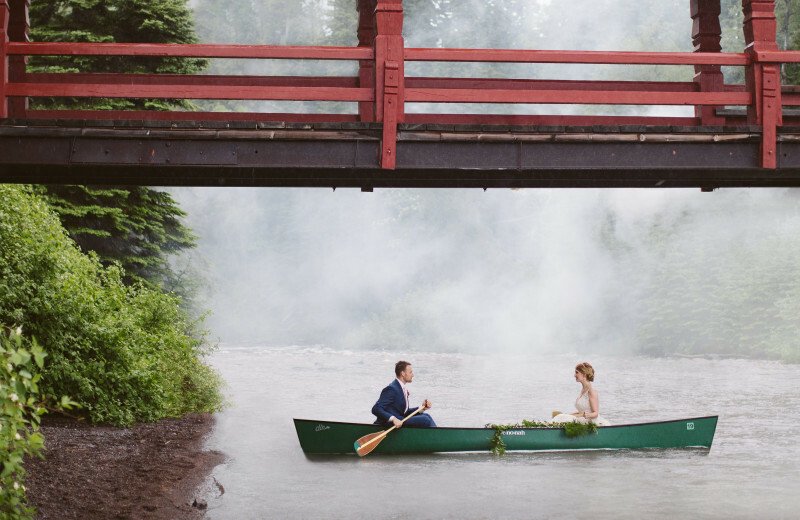 Named "Most Romantic Resort" by Minnesota Monthly, Lutsen Resort provides luxury accommodations and Lake Superior as your setting, plus an atmosphere that reflects one hundred and twenty years of hospitality. Romantic vacations are natural here! 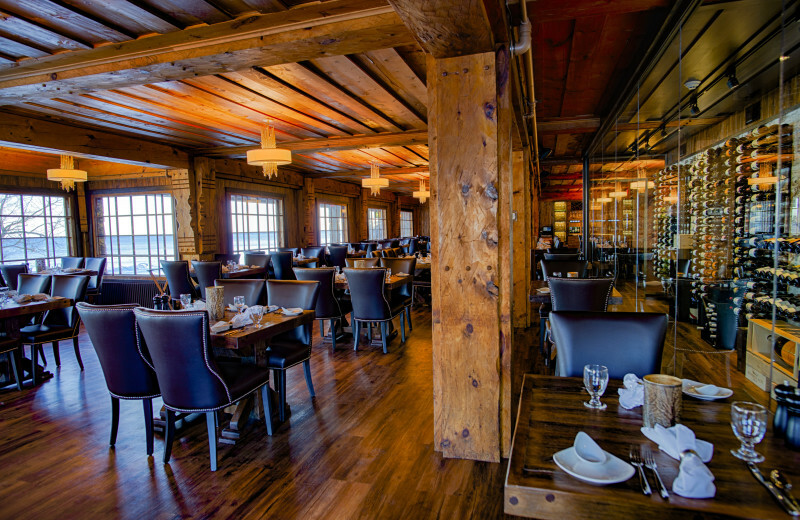 Romance packages include fine lakeside dining, champagne, a fireplace, and a Jacuzzi! 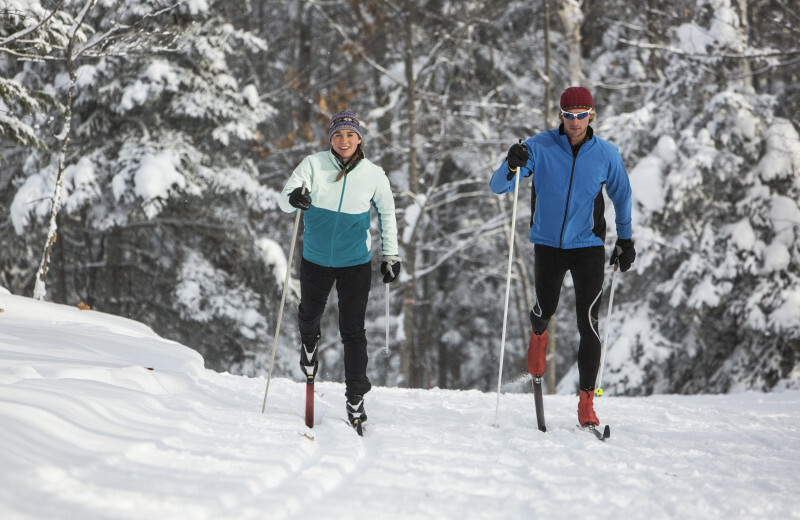 With cross country ski instruction and guided tours - plus the 150km North Shore Ski Trails just moments away- Lutsen Resort is fantastic for Minnesota winter recreation. 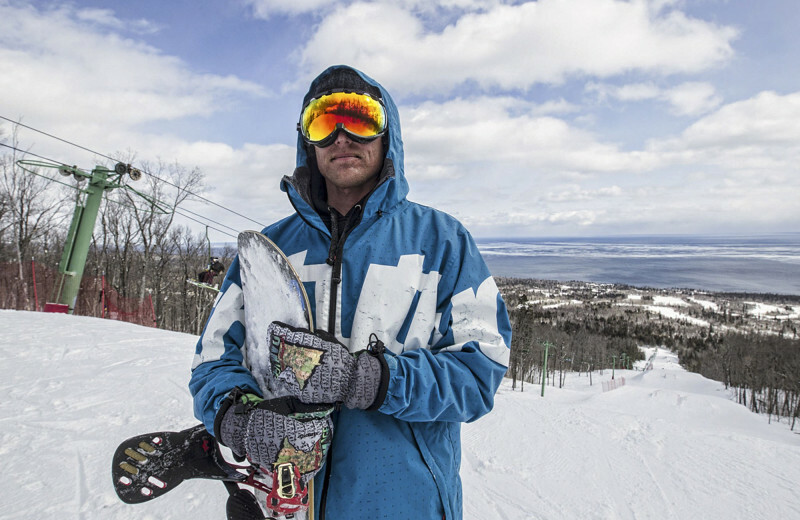 You can also choose a snowshoeing tour or downhillers can take the free shuttle to nearby Lutsen Mountains and the highest vertical drop in the Midwest. 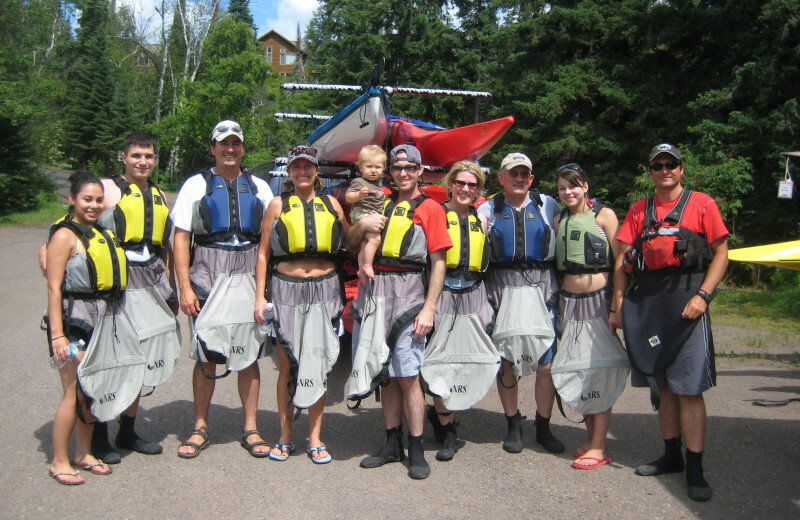 Bring the whole family along on your next trip to Minnesota when you stay at Lutsen Resort on Lake Superior! You can bring your pets along, just be sure to let the staff know ahead of time and to be respectful and pick up after yourself. For more information regarding their pet policies, please contact the resort. 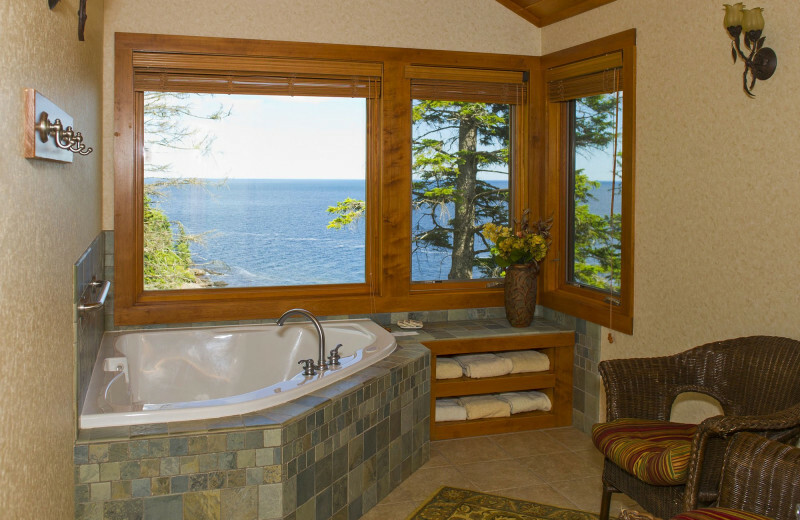 Lutsen Resort offers uncommon indulgences from historic to thoroughly modern. Gas fireplaces and Jacuzzis are standard in the new townhouses and condos. 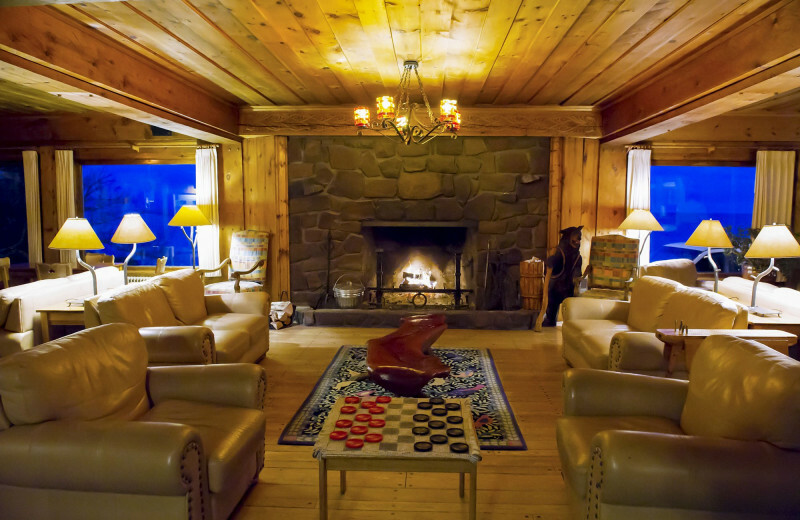 Sea villas feature wood-burning fireplaces, log cabins are beautifully handcrafted, and the historic Minnesota lodge offers an indoor pool and first-class hotel service. 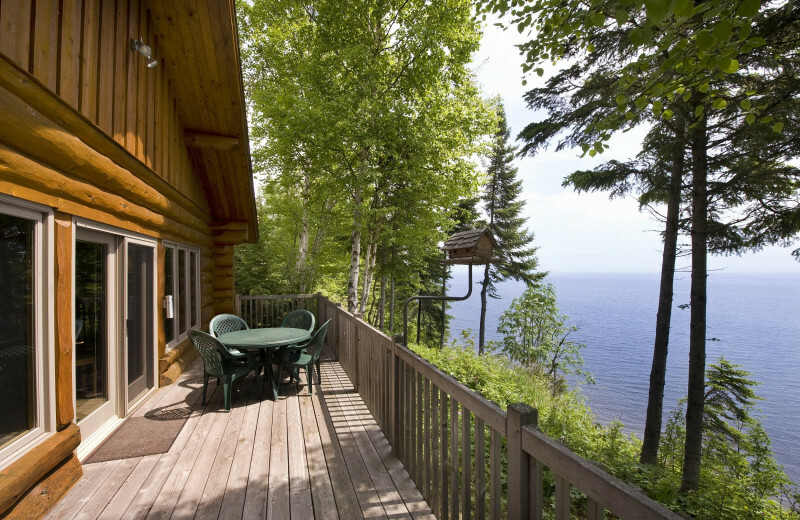 Lutsen Resort occupies a full mile of Lake Superior's North Shore, more than any other resort. 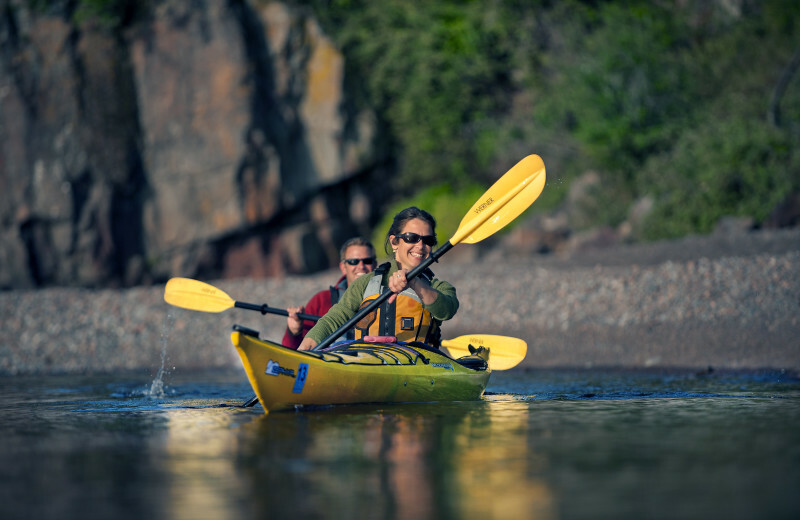 A pebble beach is your gateway to kayaking, fishing, canoeing, and more. Superior is a big part of the magic at Lutsen. You can spend hours watching its ever-changing waters. Choose a Sea Villa and stay right at the water's edge! 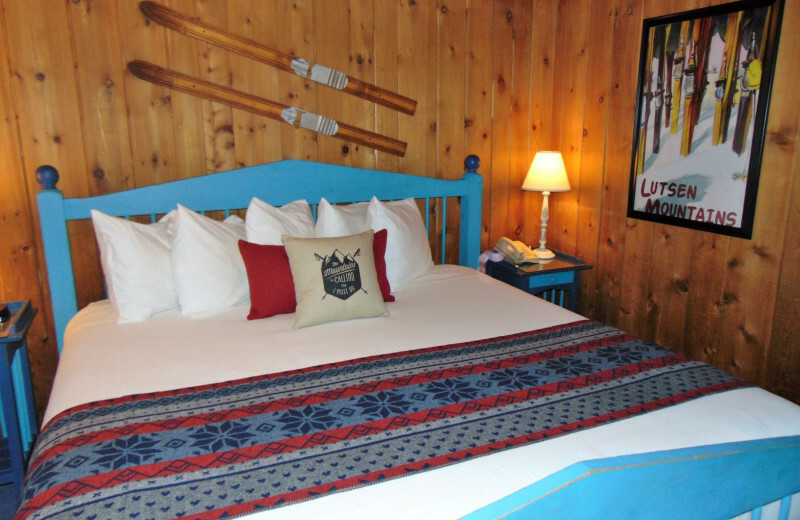 First homesteaded in 1885, Lutsen was Minnesota's first resort. 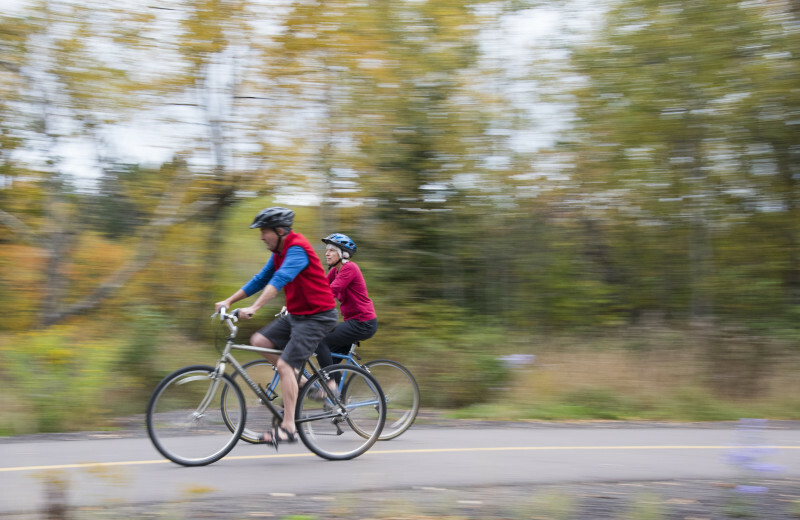 It quickly developed into a welcoming destination for anyone wanting to enjoy the North Shore. 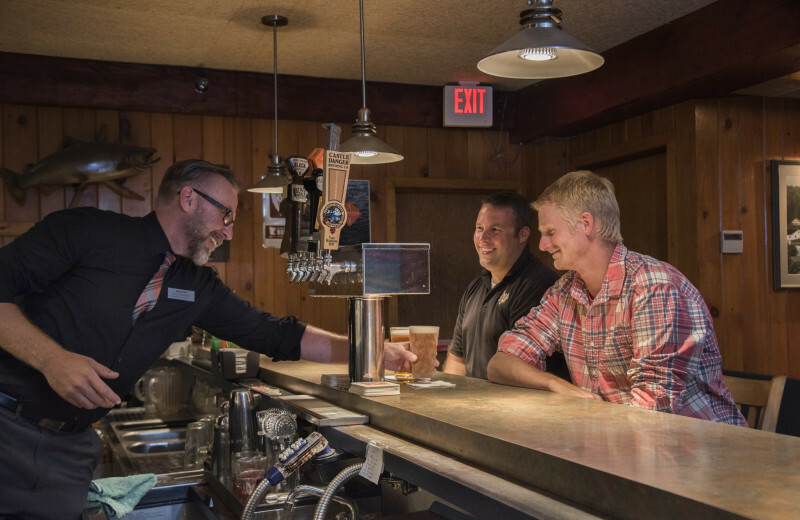 Over 100 years later, its classic Scandinavian lodge and the grounds' covered bridges uphold this tradition, and its classic brand of hospitality remains unchanged. 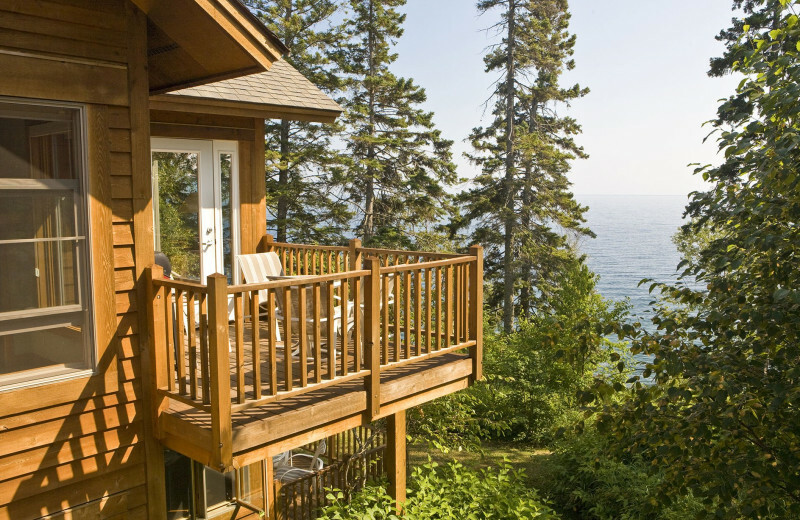 Minnesota Monthly Magazine readers voted Lutsen the most romantic resort in the state with good reason! 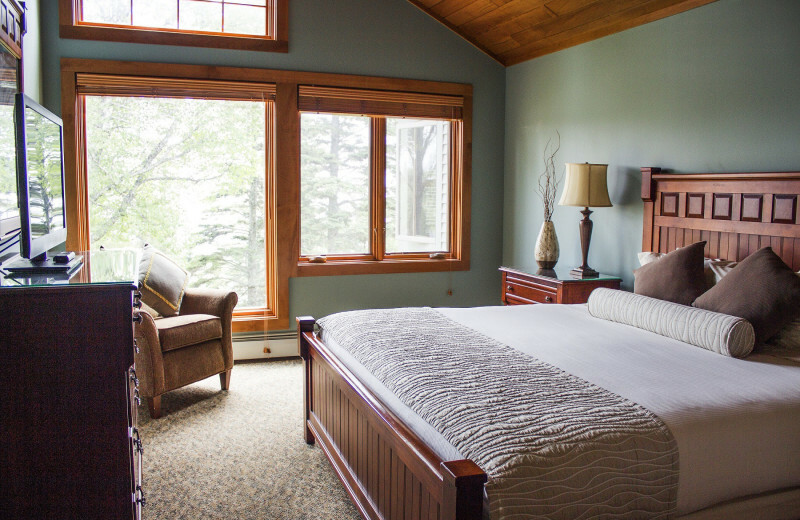 With the warm ambiance of the historic lodge, the candlelit lakeside dining room, and cozy lodging choices, a honeymoon at Lutsen will never be forgotten! When you arrive, champagne and a gift basket will be waiting in your room! 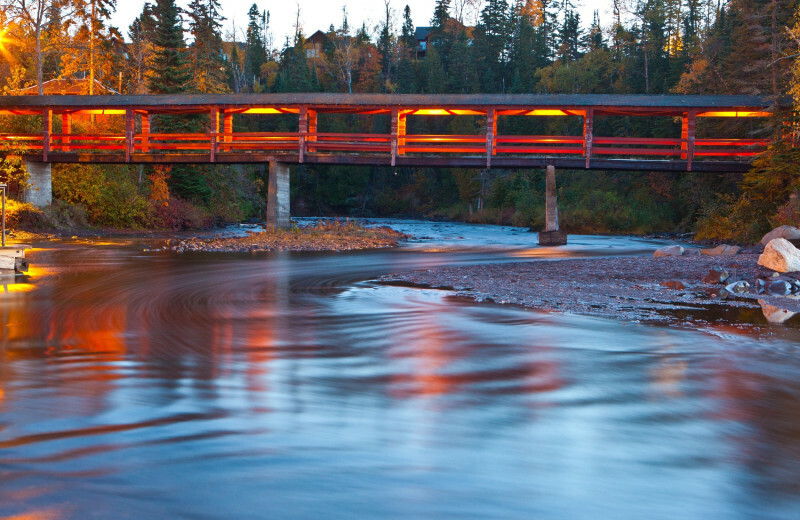 Head to Minnesota for a relaxing retreat. 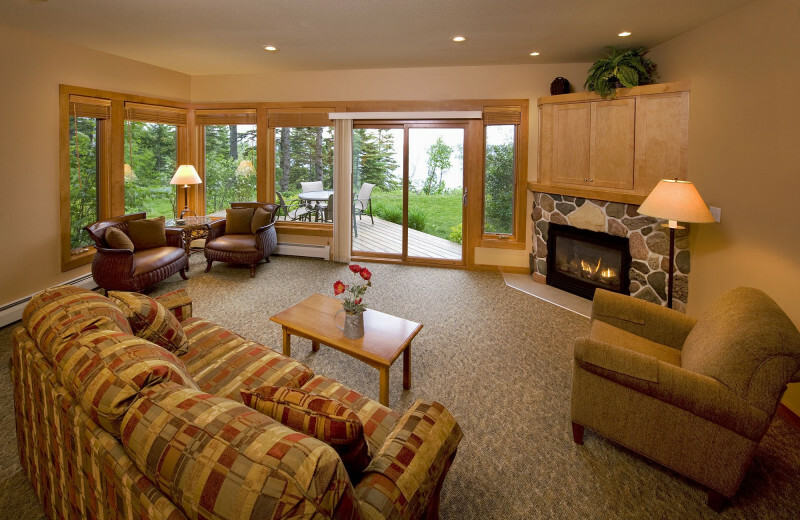 You'll come home feeling like a brand new person after your stay at Lutsen! 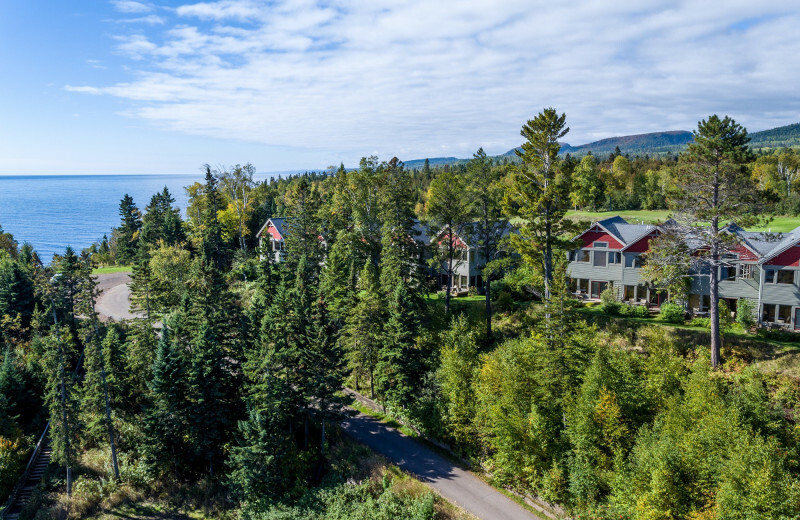 Set on Lake Superior's North Shore, this lakeside landmark offers a bevy of aquatic adventures, including fishing, swimming, boating, and water sports. 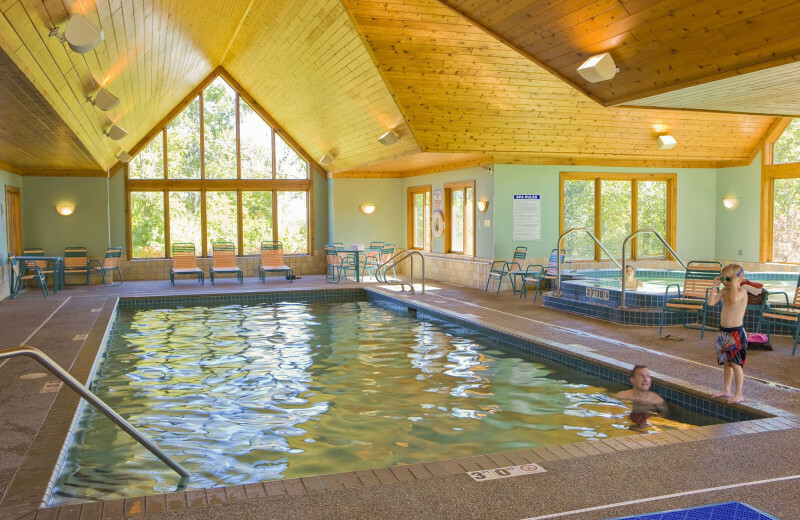 If you prefer solid land, hike the tree-lined nature trails, swing away at Superior National Golf Course, or horseback ride through the scenic Minnesota backwoods.After a day filled with activity, treat yourself to a treatment at the spa! 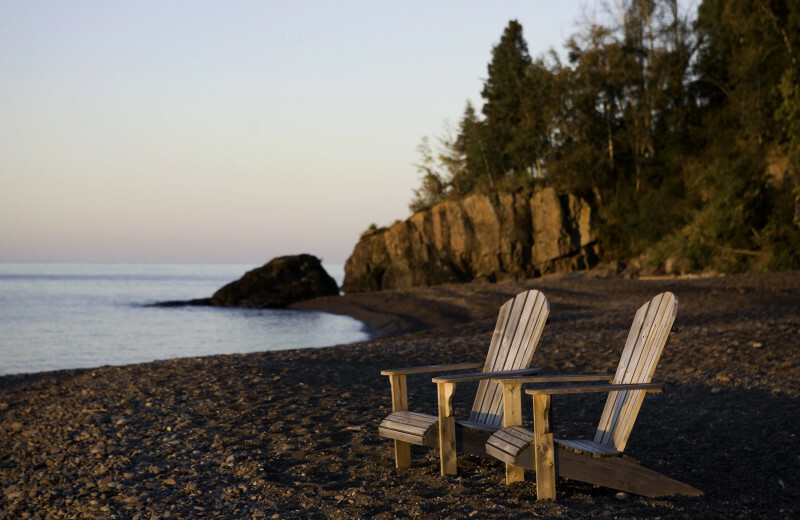 Come to Lutsen Resort on Lake Superior for your next vacation! 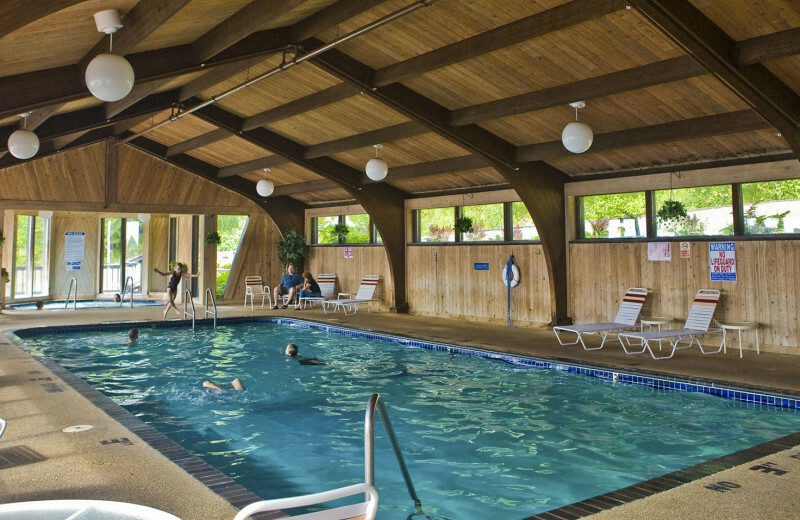 No matter the season, you'll appreciate the host of amenities. 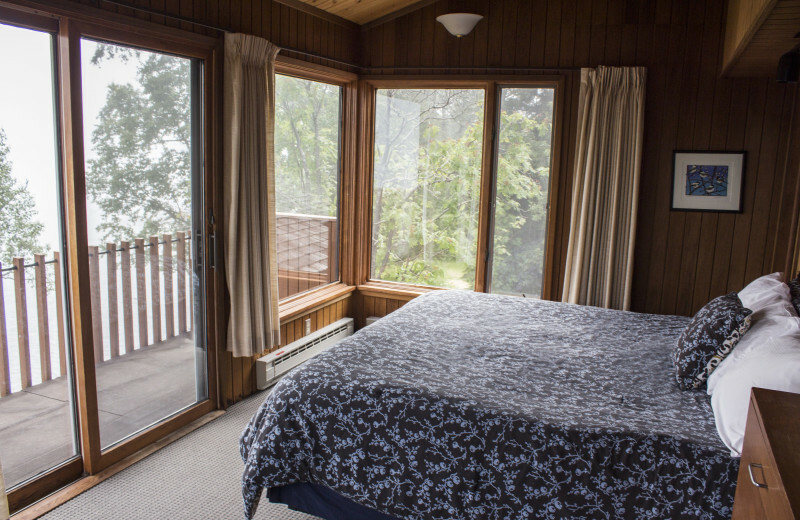 Stay in a historic lodge, a log cabin, a condo, a villa, or a townhouse and enjoy such extras as lakeside decks, Jacuzzis, and massage treatments! Pick whatever best suits your mood! 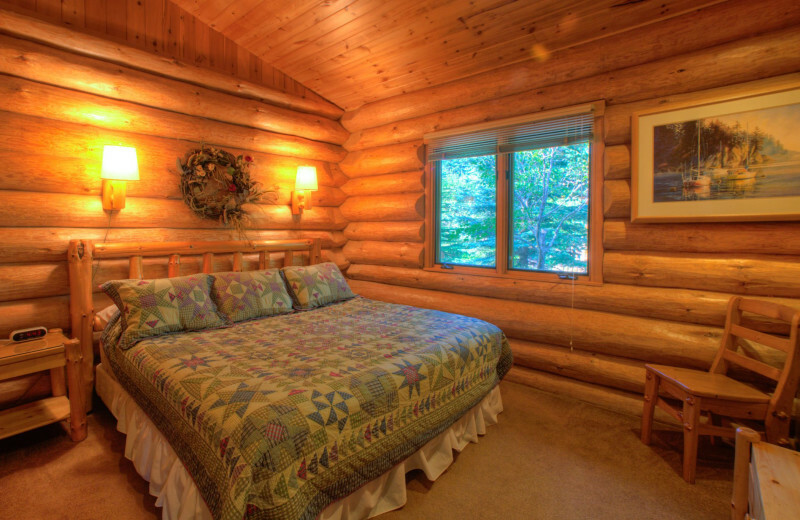 No matter what time of year, Lutsen is the perfect destination for your next holiday. Cold during the winter and warm during the summer, Minnesota has something to fit what you're looking for. Come during Christmas and ski Lutsen Mountain. 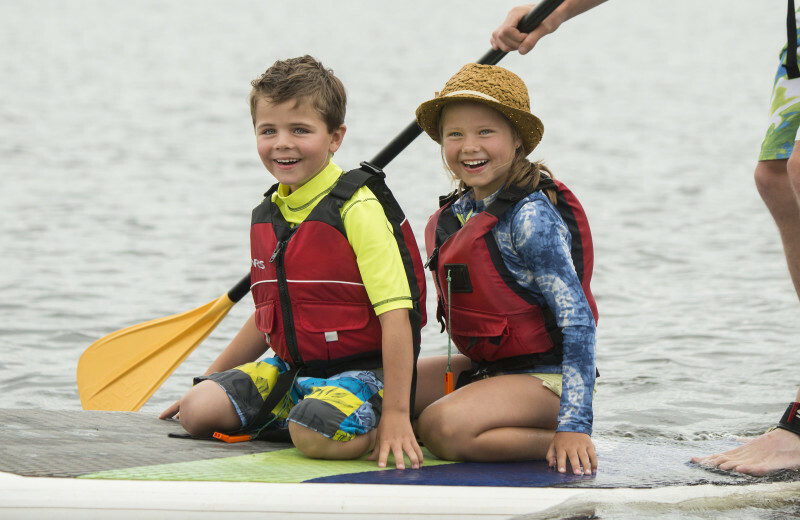 During the long summer weekends, enjoy fishing and boating! Book your next vacation today! 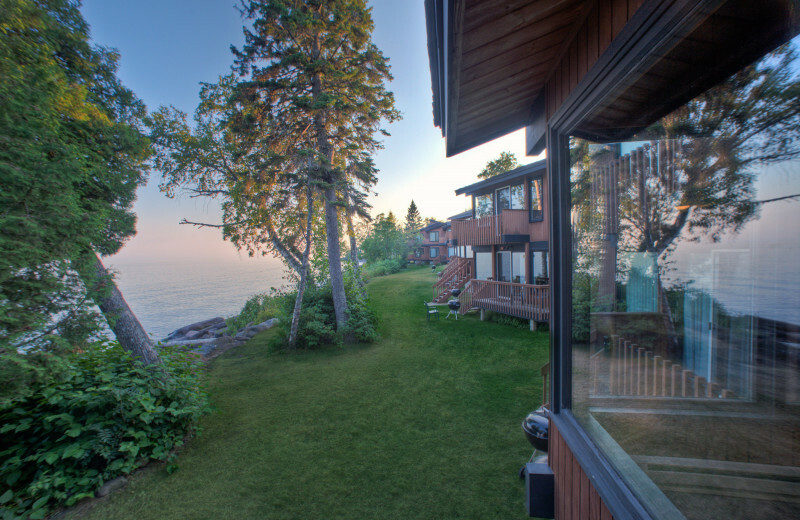 WatersMeet Spa at Lutsen Resort overlooks Lake Superior. All of your troubles will melt away with the spectacular view and plethora of treatments. Indulge in a soothing massage or a rejuvenating facial during your next Minnesota vacation. Their professional staff can help you pick the perfect treatment for you! 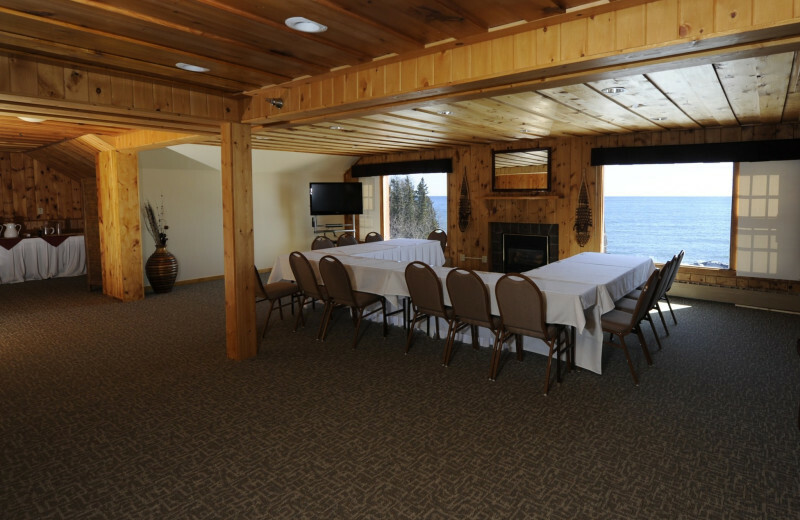 Plan your next group event at Lutsen Resort on Lake Superior. For more information please call +1 (888) 259 - 9285 or Send Inquiry. Stay two nights and receive a third night FREE! Spring brings rushing rivers and waterfalls, flowers and a sparkling lake. The fall season bursts with amazing reds, yellows and oranges as the leaves turn to welcome the onset of winter. 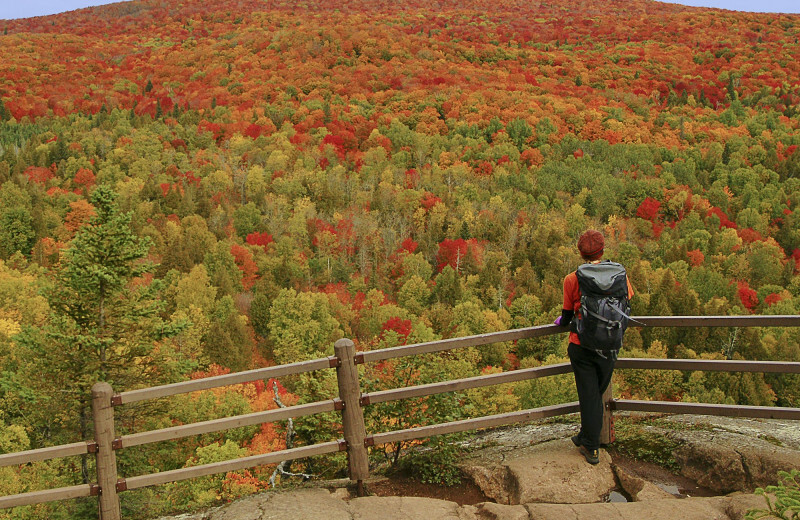 Walk the nearby Superior Hiking trails to the majestic overlooks and watch as Lake Superior furies with intense waves! Winter introduces you to snowshoeing, downhill and cross-country skiing, and sled dog rides. 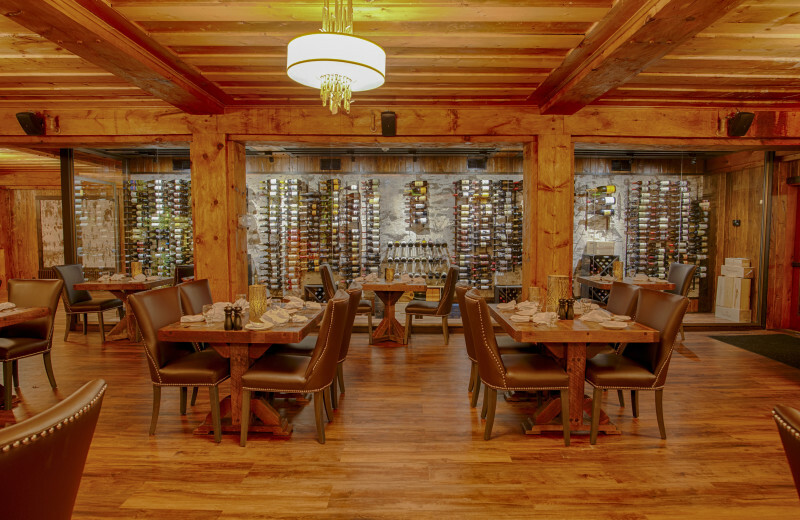 No matter when you come, you’ll find fine wines, great dining, cozy fires and a welcoming staff! *Valid specific dates only. 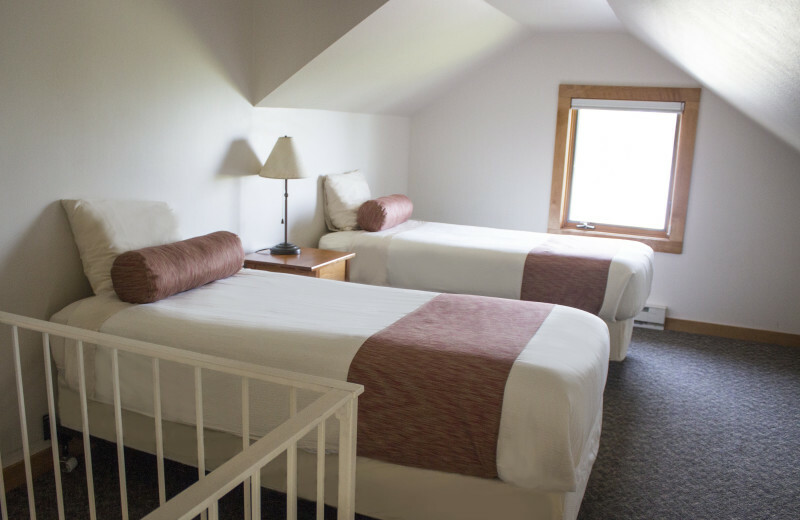 Rates vary with room type and season, midweek night free. May not be combined with any other offers. 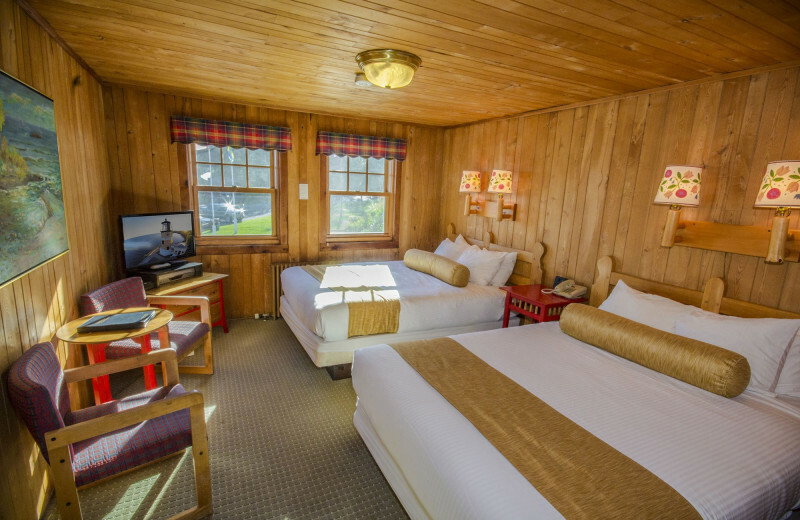 Stay for two nights and receive a third night FREE! 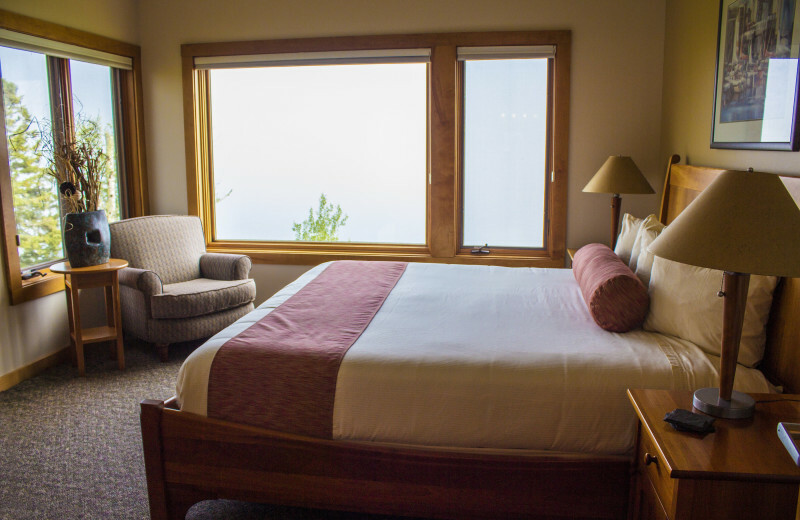 For the entire month of June, stay three nights and receive a fourth night FREE! 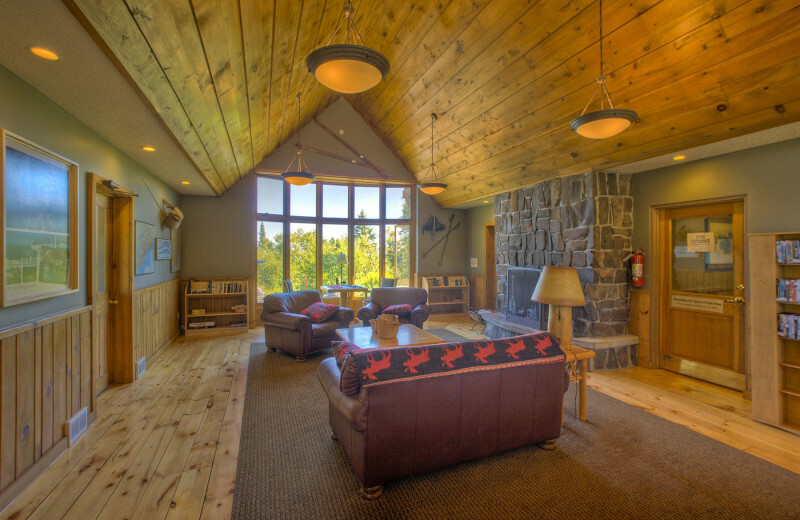 This property is ranked number 1 on Top Lake Superior Resorts. Read about it here.